Let your Customers and Patients Advertise for You! Word of mouth is the best advertising you have. Take it a step further, and let your customers and patients carry your logo, phone and address with you everywhere they go! 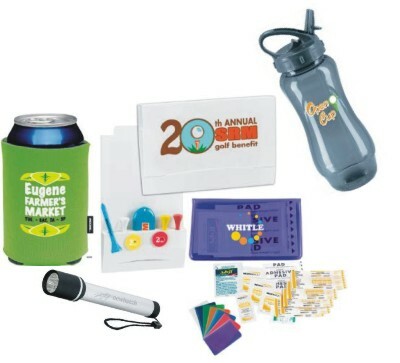 People love to receive gifts - pens, cups, an address book, tasty and effective lip balm, or a band aid holder - your customers use these products and every time they do, they will be reminded of your business. Promo products work! Make Your Next Event a Marketing Campaign! Whether it's a company picnic, a corporate golf tournament, a trade show, or a booth at the county fair...get your name out there! Do something a little different during your next event, and find an inexpensive gift or giveaway that people will continue to use because they find it useful! People will also carry around trinkets if they find them fun or unique. We all like to have something no one else has, don't we? Be the guy who supplies that to hundreds or thousands of people...with your name on it! Search Our Catalogs for 1,000's of Ideas! 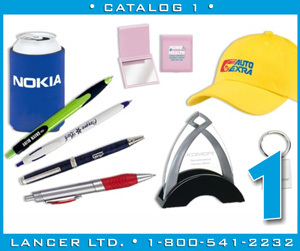 Lancer Ltd. offers an extensive selection of promotional products, corporate gifts, marketing merchandise and trade show giveaway products. Our online catalogs make it easy to search for any product your imagination can come up with! Because of our group buying power you will enjoy great prices on the many thousands of items we offer. 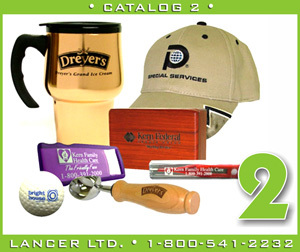 Every product you find in our catalogs can be printed with your company name & logo. Please use the links on this page to browse our extensive inventory of products. If you need help finding a product, would like pricing, or have any other questions, please fill out the simple form below, and a representative will be in contact with you as soon as possible!